Chuck Schumer remains furious that Democrats didn’t retake the Senate last November. Hell-bent on destroying Trump in 2020, Schumer has now resorted to fighting Trump on every issue imaginable. But he just gave Trump a huge win in a way no one expected. Senate Minority Leader Chuck Schumer is perhaps the second-most powerful Democrat in Washington, just behind Speaker of the House Nancy Pelosi. But Schumer is still outraged that Democrats did not retake the Senate in 2018 like they did the House of Representatives. As a result, he’s spent the past month now working to obstruct every aspect of President Trump’s administration that he can. Schumer has even gone as far as to likely direct his caucus to vote against almost any Republican-sponsored bills, just to spite the President. However, this move just backfired in a major way. 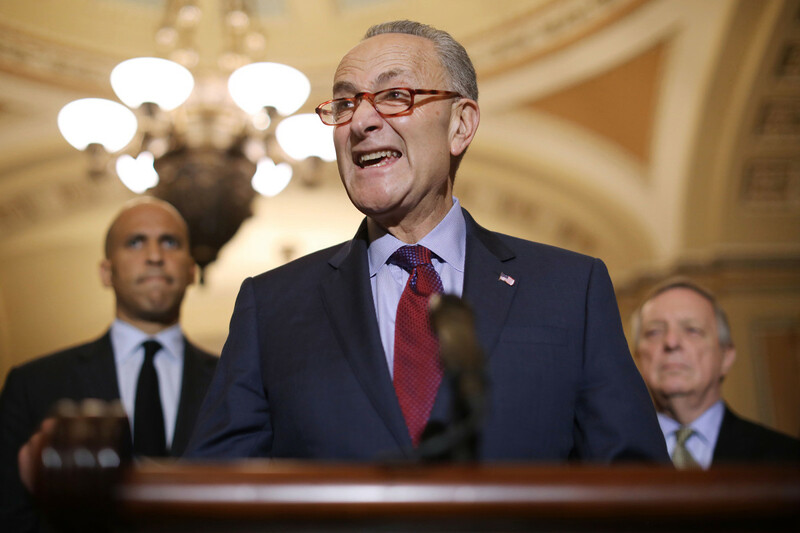 Schumer’s quest to oppose any and all Republican legislation just handed President Trump a major victory, as he directed Democrats to vote against legislation that would have banned child murder and infanticide. Sen. Ben Sasse (R-NE) asked for the “Born-Alive Abortion Survivors Protection Act” to be approved by unanimous consent. The bill was introduced after outrage against Virginia Democratic Governor Ralph Northam’s comments suggesting that he supported making it legal for infants who survive an abortion attempt to be left to die even after they were delivered alive. “There are only two sides of the debate on the floor debate tonight: You’re either for babies, or you’re defending infanticide,” said Mr. Sasse in his floor speech. “That is actually what the legislation is that’s before us,” said Sasse. 40 Republicans and zero Democrats backed the measure. When he asked for unanimous consent, Sasse was blocked by Washington Democrat Patty Murray. “The Sasse bill would require medical practitioners caring for infants born alive after botched abortions to ‘exercise the same degree of professional skill and care to protect the newborn as would be offered to any other child born alive at the same gestational age.’,” reports the Washington Times. But when Democrats worked to block the bill, all hell broke loose. Democrats remain committed to blocking Sasse’s bill however. But in doing so, Schumer has just handed Trump a major campaign theme on a silver platter. Trump is free to campaign on this issue as he prepares to run for re-election in 2020. Do you think Democrats made a mistake by voting to keep infanticide legal?